A political party is generally known by what it stands for, the policies it supports and the interests it upholds. A major factor of a political party is its ideology, for these Political ideologies shape policy debates and choices. A political ideology is a certain set of ethical ideals, principles or doctrines, that explains how society should work and offers some political and cultural blueprint for a certain social order. In a nutshell, party ideologies explain the evaluative and orientative way of thinking of a political party. Therefore, examining a political party’s ideology will help shed light on the type of policies and programmes that will be instituted by that party when it has political control. It enables voters to decide which party and candidate to give their votes based on the expectations from the party’s ideology. Thus, as we approach the Nigerian general elections in 2019, I decided to examine the ideologies of the top 2 (Two) political parties in the country; the All Progressives Congress (APC) and the People’s Democratic Party (PDP). While on the PDP Website, what I discovered was a Manifesto and not an express list of its ideologies as a party. 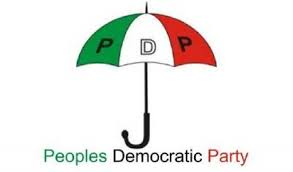 Therefore, it is safe to say that the PDP does not have an ideology or list of principles that are center to its system of administration or governance. However, does this make the APC better? 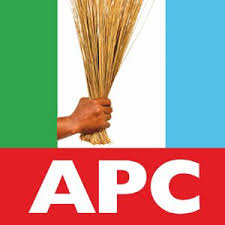 In the ordinary course of examining the above paragraph, one may agree that the APC is a better party for at least having a list of guiding principles, however, having a list on a website is one thing and actually living according to the tenets of these guiding principles is another litmus test a party must pass. For instance, the APC have stated that upholding the “rule of law” is one of their guiding principles but the current APC led government has acted contrary to this principle as evidenced in the case of the former National Security Adviser, Retired Colonel Sambo Dasuki, who has been in illegal detention despite 5 (five) different court orders directing the government and security agencies to release him on bail. Furthermore, the constitution guarantees every Nigerian the fundamental right to be treated decently and free from indecent treatment or torture, however, the APC government has failed to address the allegations of extortion, torture and unlawful treatment of citizens by the Nigerian Police. Evidently, the guiding principles of the APC is meant only for the objective of having a philosophy and not really one to be adhered to. This is why it is no surprise that politicians in Nigeria move back and forth from both parties every election cycle because what binds the members of these parties is not ideology but selfish and self-serving interests. For, how can one change ideologies every 4 (Four) years. Recently, in the Nigerian polity, a record number of members of both political parties have jumped ship into the other. For the party you belong to in Nigeria determines if you would victimized by the ruling party or not. This is why as Nigerians are faced with a choice of electing members of these parties in the coming elections, it is important we note that we are not voting for ideals but for self-serving party members who will do anything to attain political relevance and satisfy their personal greed and whims. It is therefore important for Nigerians to put politicians to task of providing and standing by their political ideologies. 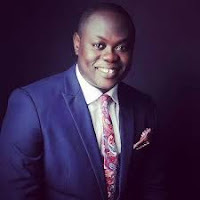 Adedunmade Onibokun is a Nigerian lawyer, Author and Social Analyst.